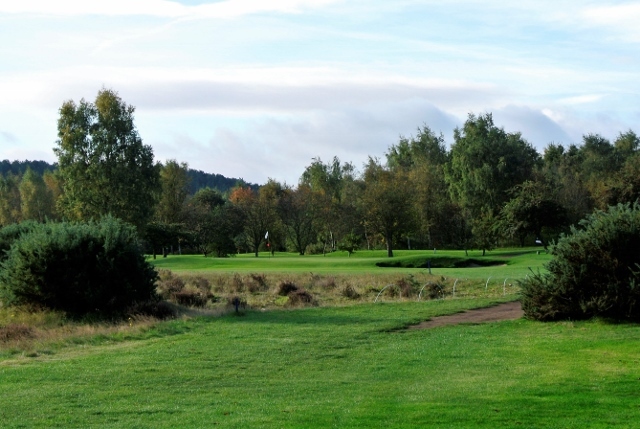 Named after Rear Admiral Robert St Vincent Sherbrooke V.C., the Admirals course consists of 6859 yards of rolling, tree & heathland terrain, with a par of 73 (SSS 73). It’s a challenging but rewarding course requiring full concentration to avoid the plentiful natural hazards. 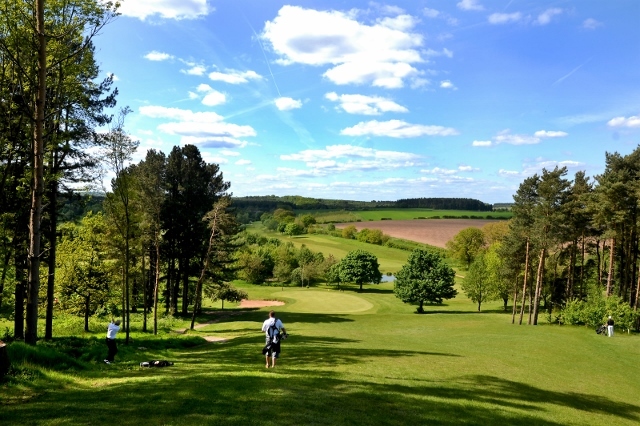 The course makes the most of the gradually undulating terrain and features numerous water hazards including ponds and the Dover Beck which comes into play on several holes. 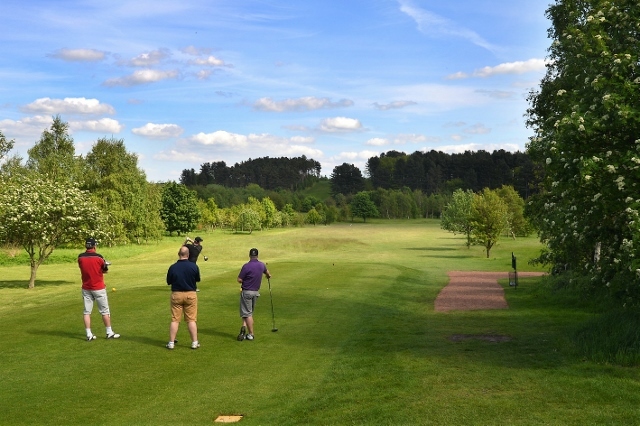 Probably the toughest opening tee shot in the County this 525 yards long Par 5 hole is the perfect start to the round (after your tee shot hits the fairway that is!). 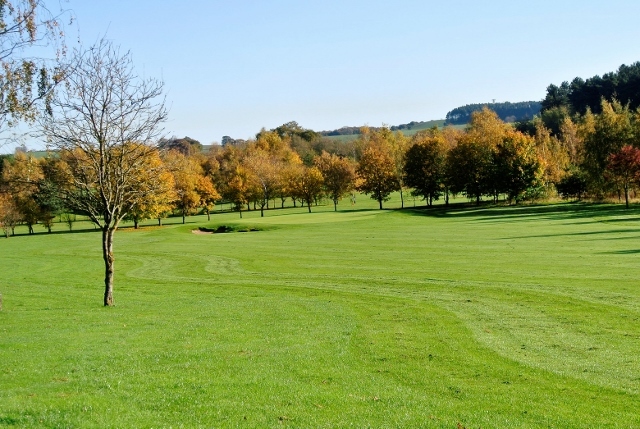 Dogleg round to the left and watch out for the ditch running down the right hand side. 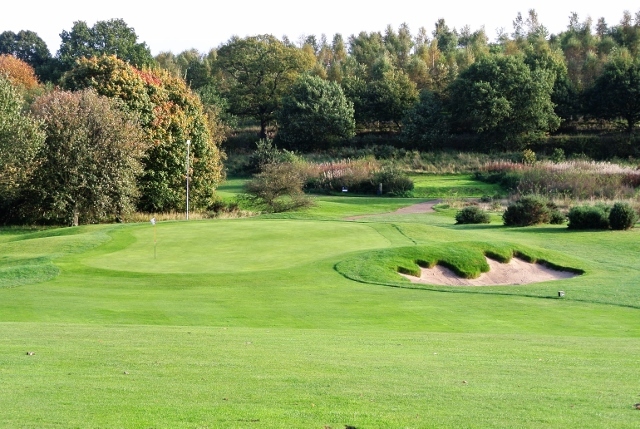 This delightful Par 3 hole is only 177 yards long, but many a fine golfer has fallen foul of its tight entrance, guarded fiercely by bunkers on the left and the lake at the front and right hand side of the green, this hole needs careful management. A long Par 4 at 422 yards. Be careful of the 3 fairway bunkers to the left of the tee and don’t stray into the ditch running down the right hand side. The Dover Beck to the right of the green is always waiting for the weak fade. 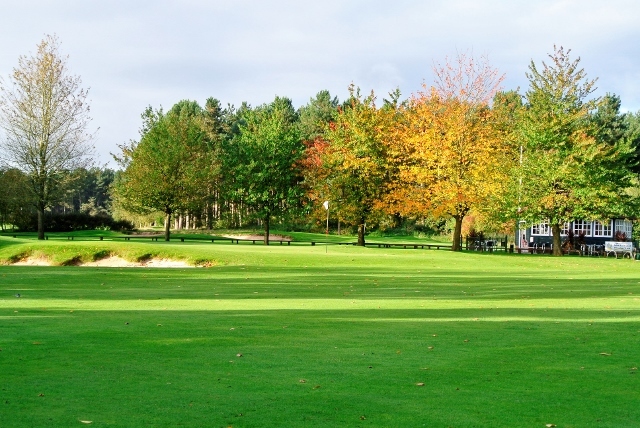 You’ll always be pleased to be walking off this green with a par. 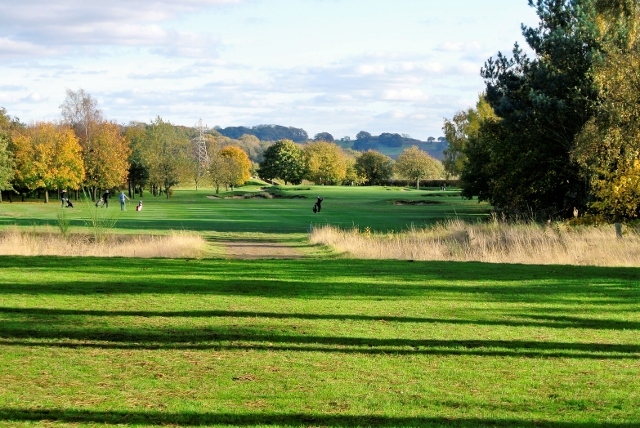 A challenging 381 yard par 4 hole with a very tricky approach shot to the green. A wayward tee shot here may find a bunker to the right of the fairway or some punishing deep rough on both sides. A short Par 4. With only 333 yards to cover, this hole should be an easy par or possible birdie opportunity, however the fairway is littered with obstacles. Watch out for the set of bunkers down the left hand side and careful with your approach. New Par 5 with two bunkers on the right to catch the ambitious driver trying to cut the corner. 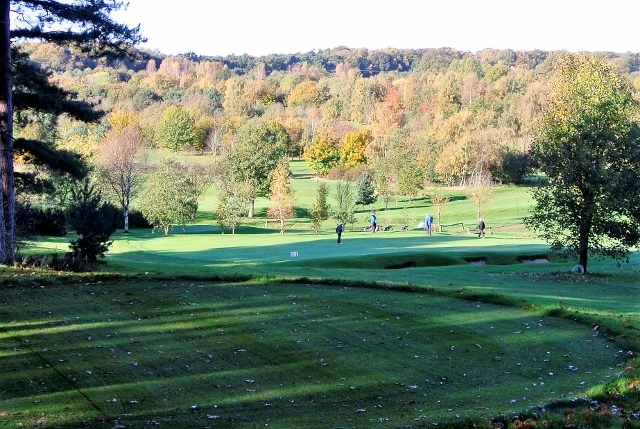 The Dover Beck meanders in front of the green so it is best to lay up short to leave a simple pitch on to the two tiered green. The bigger hitters will probably want to take the green on in two. Fairly easy Par 3, or is it? Downhill Par 3 with a bunker short right. 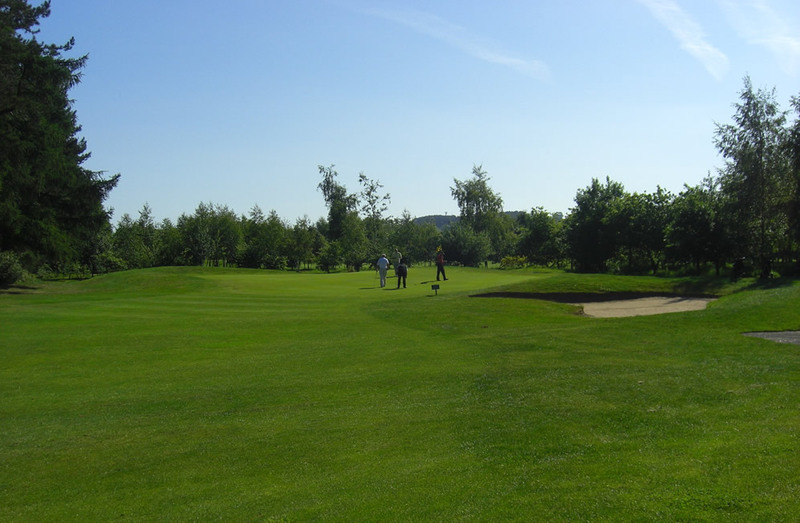 Hopefully you’ll get the easy pin on the left, but if the greenkeepers in a bad mood you may get the Sunday flag on the right and woe betide you if you go long as you could see your ball meandering towards the brook. 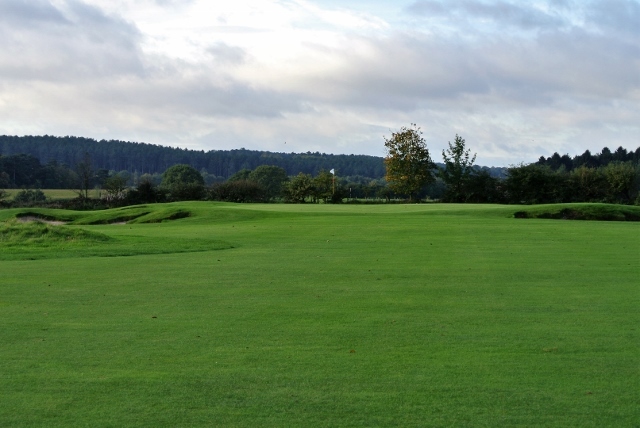 Only 130 yards long, but make sure you’ve got the right club or you’ll be in trouble. 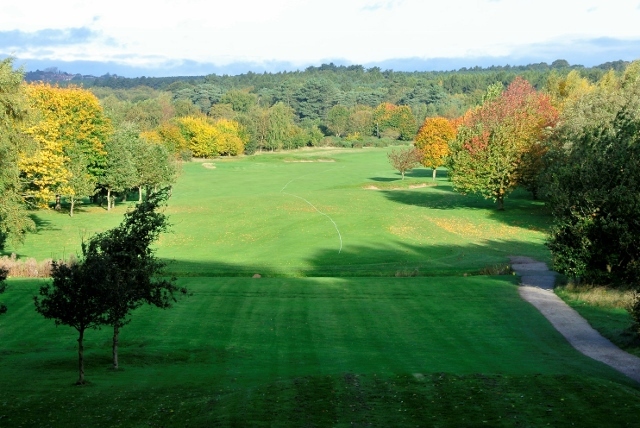 Short downhill dog leg left par 4 which favours the straight hitter with trees either side. 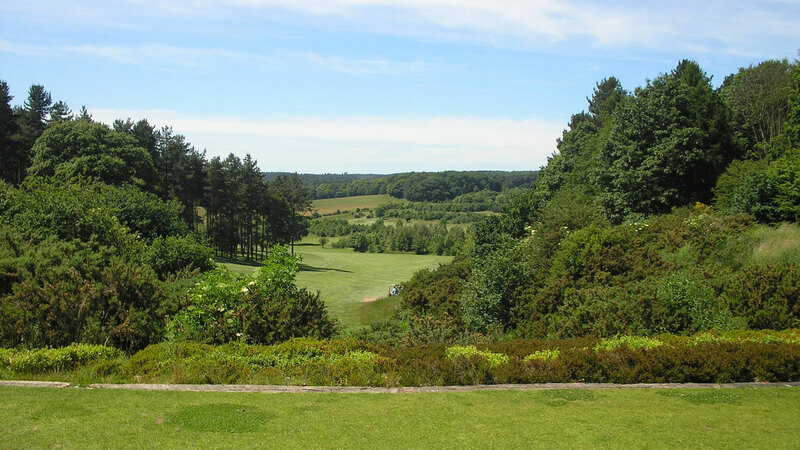 Long hitters may be tempted to hit the green in one, the reward is great but the penalty could be a lost ball in the trees and bushes surrounding the small undulating green. 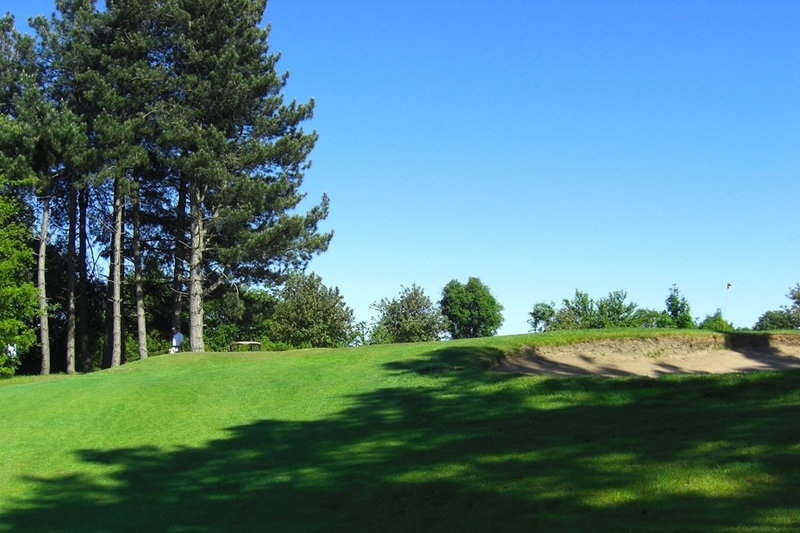 A good straight drive is required on this hole to thread between the tress on the left and right. 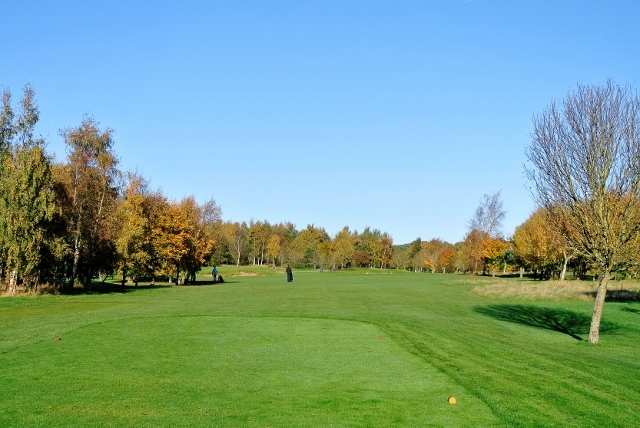 Hitting the green in three shots on this 554 yards long Par 5 will be rewarding so keep your head down and your drive straight. 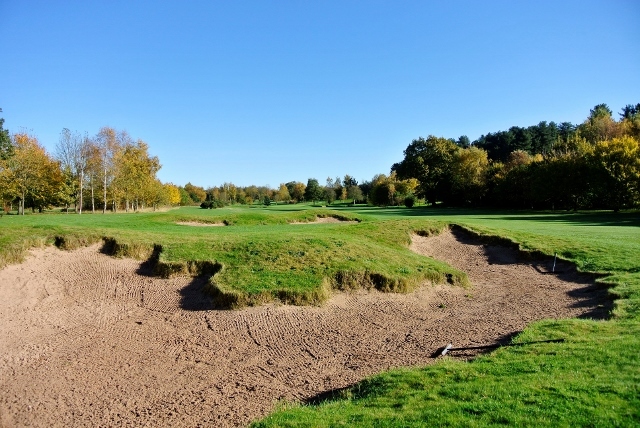 Watch out for bunkers on both sides of the fairway for your second shot. A pleasing but difficult 208 yards long Par 3 hole. There’s only one greenside bunker to catch you here so steer clear of the front right hand side and you will not be punished. This hole is longer than it looks so choose your club selection carefully. 13th Hole Par 4 — 460 Black Tee or 409 yards white. White tee Measuring 409 yards long with a slight dogleg to the left and a very tough approach to the green, this is a great hole. 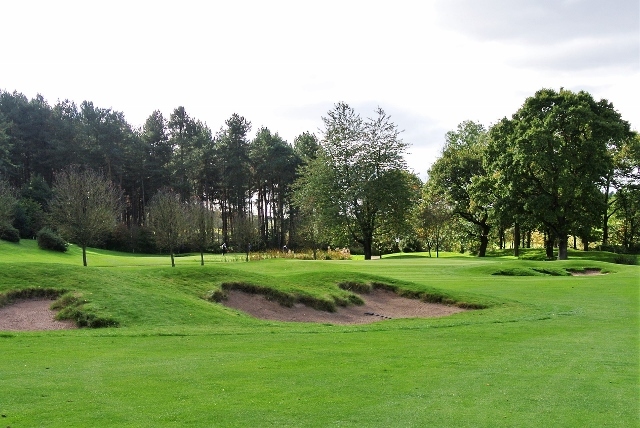 The McKenzie green always provides an interesting challenge, particularly if you are putting from the top level. 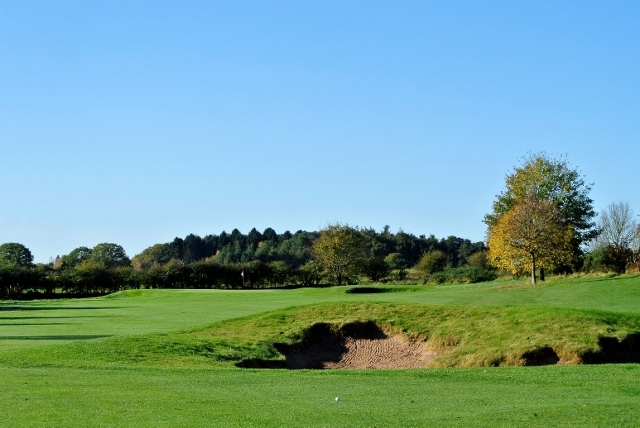 Arguably the best hole on the course, this fairly straight Par 5 hole measures an incredible 585 yards in length and the green lies in a hidden dip providing a very tricky approach shot. Keep down to the left with your second shot here. A strategically placed bunker down the right will gather up any wayward tee shot and the brave hearted golfers amongst us may find heartache if they try for the green in two. 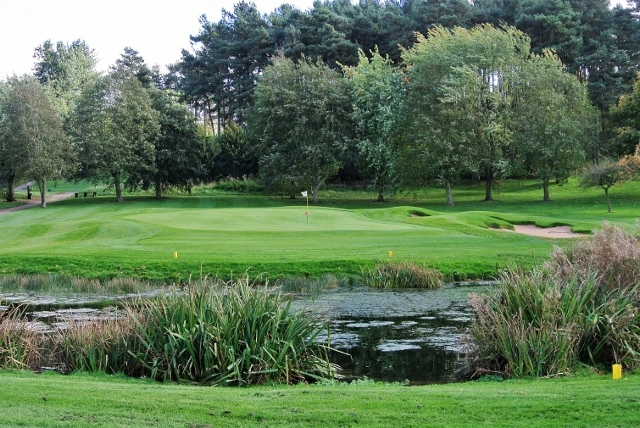 The Dover Beck and a large pond cross the fairway just short of the green and bunkers each side guard the flagstick carefully. 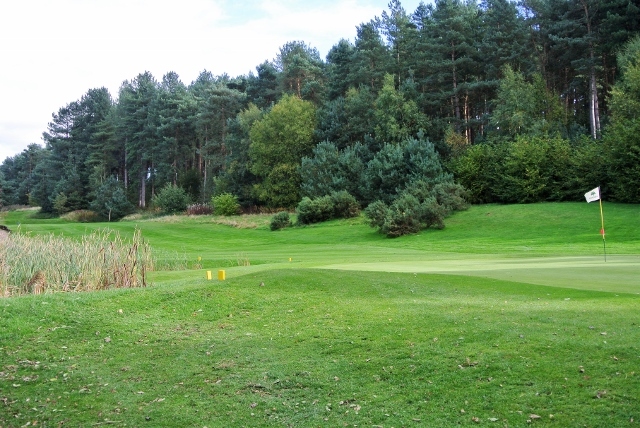 A splendid but tricky Par 3 hole, 158 yards in length uphill to a well-protected green. Once on the green your problems are not over as the green is large with a lot of undulations. It requires a true and straight tee shot which needs to hit the green or you’re in big trouble. Sponsor: Looking for new sponsor. A short Par 4 at only 330 yards long. The hole is a dogleg left and bunkers each side of the fairway await a stray tee shot. If you play right of the green for the easiest approach in to the flag there’s a good birdie chance for the smart golfer. What a hole to finish on. This Par 4 hole has destroyed many a fine card. Attempt to cut as much off the corner at your peril , lets see how brave you’re feeling. Dont tell your friends you came to Oakmere and baled right on the last. Go for it!